Reporters were despatched to beaches across a regional daily’s patch to find out which one which area of coastline is the cleanest. 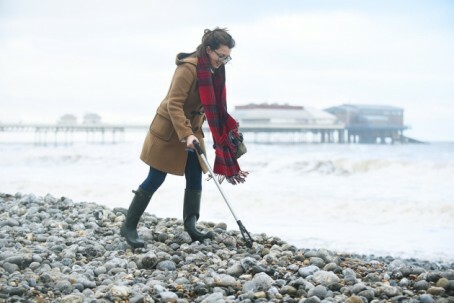 Eastern Daily Press journalists Ellie Pringle, George Ryan and David Hannant went to Cromer, Great Yarmouth and Lowestoft respectively to pick up litter on each town’s beach. They undertook the challenge as part of the ‘Great British Clean’, run by the Marine Conservation Society, which sees 7,000 volunteers conduct litter picks across 339 beaches every year. On Great Yarmouth’s North Denes beach, George collected two bags of rubbish consisting of largely plastic, whilst on Lowestoft’s North Beach the finds were often cigarette butts, as well as dog mess. Along the north Norfolk coast in Cromer, no rubbish was found. In a piece about their challenge, Ellie wrote: “Cromer has long been referred to as the ‘gem of north Norfolk’, and today it proved why, as it bucked the trend of the UK coastline. “Not a piece of rubbish could be seen on the Blue Flag beach on either the East Beach or stretching down towards West Runton and Sheringham.